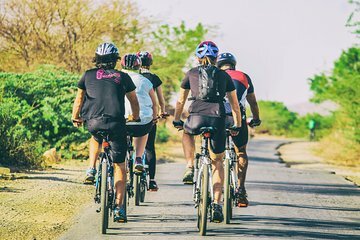 Cycle through Udaipur in the early morning on a half-day bike tour led by an experienced guide. Watch the sunrise as the city wakes up, before the traffic and heat get intense. You’ll see temples, palaces, villages, the lakeshore, and rural scenery as you pedal on mostly flat roads with occasional hills. Your tour includes a picnic breakfast, use of bike equipment, and hotel pickup and drop-off. Amazing guides! Great way to see Udaipur!